After defying the odds and becoming the first person to receive a cannabis prescription in the UK, Billy Caldwell is being honored. After traveling from Northern Ireland to California, this young epilepsy patient became the first person in the United Kingdom to receive a medical cannabis prescription. As the medicine began to take effect, his family noticed miraculous changes in their son. Now, the medication that helped to save his life is being named after the young patient, as it continues to improve his standard of living more and more. At just six-months-old, Billy Caldwell’s mother, Charlotte, was told her baby would likely not reach his first birthday. Billy was diagnosed with a rare form of intractable and statue epilepsy, meaning he was unable to bring himself out of his violent seizures. At the time, Billy was experiencing an unimaginable 100 seizures per day. In addition to his epilepsy, Billy was also suffering from Autism, which was only exacerbated by the seemingly constant fit of seizures. In their hometown of Castlederg, Northern Ireland, doctors were at a loss for a way to help the young boy. Medical cannabis was not even an option, due to its illegal status in the country. Rather than sit by idly and watch her son suffer, Charlotte took charge, and in June 2016 brought Billy to a children’s hospital in Los Angeles, California where he could get the medical attention he so desperately needed. Doctors discovered a lesion on Billy’s brain, but because of the position and dangers associated with surgery, were unable to operate. Instead, practitioners began discussing alternate treatment options, including medical cannabis in the form of CBD oil. Charlotte explains the massive changes she witnessed in Billy after a short time on the medication. Billy tried it for eight months, supervised by a medical doctor, it took a while but it worked. Before, Billy could have had up to 100 seizures per day, he was dying. Billy is now 250 days seizure free – it’s just incredible. The oil didn’t just help his epilepsy, but his Autism, too. His eye contact has got really good, he used to have to wear special needs boots to support his ankles, but now he is wearing trainers. For some parents, this wouldn’t be a big deal but for us it was massive. His balance and his walking is so much better, he can now go up and down steps whereas before he couldn’t do that, his concentration has got much better, before he couldn’t concentrate for long. When the family felt confident about Billy’s treatment plan, they returned to their home in Ireland, unsure how they would continue to receive access to the oil that has provided so much relief. In the UK, cannabis remains illegal, but CBD extracts are legal. Cannabis is a Class B drug in the UK, but the cannabidiol CBD, which does not create the high associated with recreational use, is legal and has been reclassified as a medicine by the Medicines & Healthcare products Regulatory Agency (MHRA). Billy currently takes two types of cannabis oil – one containing CBD and the other made from the compound tetrahydrocannabinolic acid (THCA), which is illegal in the UK due to its association with the psychoactive effects of cannabis. The oil was supplied by Dublin-based pharmaceutical start-up GreenLight Medicines, which develops cannabis-based medicine. 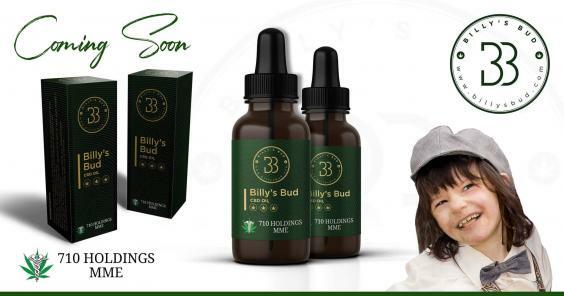 GreenLight Medicines has named their CBD oil Billy’s Bud, as a tribute to the boy whose life it changed. Charlotte said the family was so honored that they cried tears of joy and are just thankful they have access to safe supply of the oil that saved Billy. I just feel absolutely over the moon that at last we can announce some good news, it’s been a real struggle for us. This is massive. This little bottle of oil has actually done this for my little boy, so the company said they wanted to name the oil after Billy – we’re just absolutely honored and privileged, these people saved Billy’s life. It’s incredible.